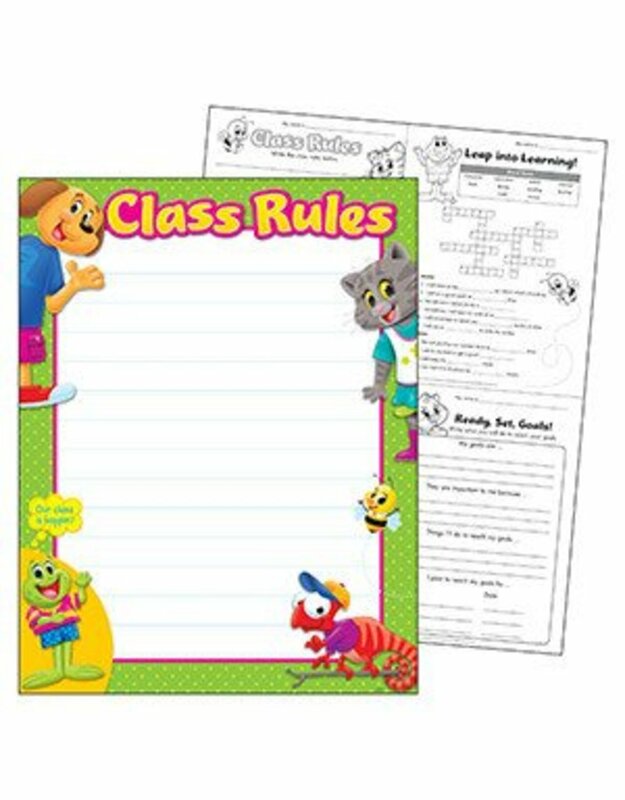 Get everyone involved in creating class rules. Writing space on this bright chart chart allows you to customize for your needs. Extra Value: Reproducibles on back and online. Durable. 17" x 22". Coordinates with Playtime Pals™ Collection.